With GURPS, you can be anyone you want an elf hero fighting for the forces of good, a shadowy femme fatale on a deep-cover mission, a futuristic swashbuckler carving up foes with a force sword in his hand and a beautiful woman by his side . . . or literally anything else! GURPS has been the premiere universal roleplaying game for almost two decades. The new Fourth Edition makes it even better! 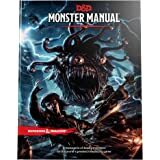 GURPS Basic Set: Characters combines information from the Third Edition GURPS Basic Set and GURPS Compendium I, plus hundreds of new and updated rules! This 336-page, full-color hardcover contains everything you need to create and play a GURPS Fourth Edition character. 5,0 de 5 estrelasThe Best RPG System! GURPS is my favorite RPG system. As other reviewers state, the system can be extremely detailed, fine grained, and gritty. OR it can be streamlined for fast, cinematic, narrative play. Don't let anyone convince you otherwise. GURPS Basic Set: Characters presents all you need for creating interesting characters, including simple systems for magic and psionics. The Campaigns volume presents detailed (but all pretty much optional) rules for combat and plenty of good advice for campaign building. GURPS is also very well supported as a system, with ample supplements for a wide variety of genres. I'd give it 10 stars if I could. Great job, Steve Jackson Games! 5,0 de 5 estrelasSometimes, details aren't what you want. I love GURPS. So much stuff. Rules for nearly any situation I could imagine and the tools to create my own when nothing else was applicable. Sounded perfect. And for the right GM it may be. For several years I've tried to make this the game that would replace D&D and similar D20 (and other single die) systems. Well, it did replace them. But I was left feeling like I'd forgotten something. I'd forgotten how to have fun. Don't misunderstand, GURPS is fun. Far more so than D&D could imagine. But I was buried under the weight of my own expectations as a GM. And running games for my college's RPG Club made the situation worse. I was trying to introduce new players to the game all while I was barely keeping it together. I've realized that the game I want to PLAY is GURPS, but it's not one I can GM effectively - at least, not to my own expectations (my players give me much positive feedback, so maybe I'm being silly). I'm going to try Fate Accelerated and see if that's a better fit as GM. Maybe I'll be able to _play_ GURPS someday. It's the system I wish I'd paid attention to 25 years ago. It's not for everyone and it takes a good GM to tune this engine - I'm just not that guy right now. If you like details and rules to handle most anything in any genre, this is your game - hands down. I'm trying simpler systems for when I GM, but I'm always hoping to find someone local that runs GURPS. If you're looking at GURPS for your main game, know that it's the most amazing (and potentially overwhelming) toolkit for tabletop gaming you could imagine. You've been warned. I am incredibly excited to be learning the GURPS system. I know I'm getting into it close to a decade after the fourth edition toolkits were first published and two decades after GURPS' zenith in popularity, but for someone who likes to blend genres (medieval characters in a sci-fi setting, for instance, or cyberpunk/horror/espionage all blended into one) no other system seems to come close to addressing that need. My only concern is whether or not for edition wound up being as well supported as seems to have initially been promised: there is still no vehicle creation kit, no consolidated bestiary, and it looks like I'll be porting a lot of third edition material over to fourth edition rules myself … which may require picking up the third edition basic toolkits ouch … although the sheer wealth of such available material, third edition worldbooks etc., is impressive. I'm still getting my feet wet, but so far I have no regrets! 5,0 de 5 estrelas2nd book of the Basic rules. As good as the first. I started playing GURPS with my friends recently. As such I ordered my own set of the basic 4th Ed rules. I've only had them a few days, but am really happy with the quailty. This is a hardbound book with good quality and feel pages. I've thumbed through it presently and like the are and feel of the book. I'll try to post back in 2 months letting anyone know how it has held up for the near term. I'm expecting no issues. 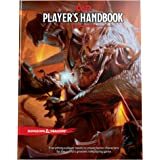 This book details how to create a character for the GURPS (Generic Universal RolePlaying System) game system, but does not contain any rules on how to play the game itself. 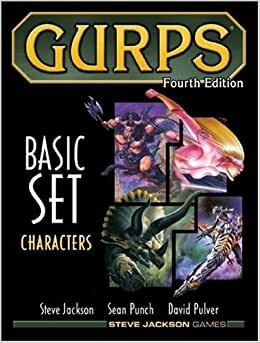 If you want the actual rules (minus the character creation part) you'll want to purchase the GURPS Basic Set Campaigns book, which this book references extensively. GURPS endeavors to give gamers the tools necessary to create literally ANY roleplaying experience imaginable. With only a few cartoonish exceptions, it feels as though Steve Jackson has succeeded with his game system. The GURPS system uses only three six-sided dice (d6's) for most of the rolls you will be making, and encourages you to make use only of the rules you feel comfortable in order to make your game as streamlined or intricate as desired. Character stats, rather than being randomized, are purchased with a point system, as are skills and attributes pertaining to your character. This actively replaces the leveling system familiar to most other RPG's, in that you don't have a level 15 Cleric, but rather a 1750 point character that has purchased traits that a cleric would have, with no penalty if he/she wanted to dabble in magery or barbarism as needed in the future. Attributes (advantages or disadvantages) range from the mundane (Honesty) to the fantastic (Unkillable) and many rely heavily on Game Master approval. When generating or upgrading a character, advantageous traits can be purchased for points and disadvantages will reward you extra points, so I imagine a lot of power gamers giving their characters a fear of the dark so that they can also be able to fly or something. Units in the game are given in real world terms, and so combat "rounds" actually last one second each, and moving distance is given in yards. The game is also set up so that most of the calculation is done during character creation, and so everything is spelled out on your character record ahead of time. All in all, it's a very well thought out gaming system. I can't wait to try making a Flatworld-themed campaign using it!